Bend is a solo exhibition by contemporary jewelry artist Iris Eichenberg, Artist-in-Residence and Head of the Metalsmithing Department at Cranbrook Academy of Art. As a point of departure, Eichenberg revisited her artistic practice, which is renowned for its diverse collections and challenges to the definitions of craft and jewelry; the result is an unconventional retrospective of her twenty-five-year career told through a body of new work. Decades in the making, this exhibition is an introspective look at the alchemic process of creation and the artist’s life-long research into the behavior of materials. The exhibition’s title, Bend, speaks to the language of the body and the artist’s material choices—gold, brass, rusted steel, textile, and mirrored glass—as well as Eichenberg’s circuitous path as a jewelry artist. Eichenberg has described her process as “drawing in materials” and for this exhibition she has sketched on a more monumental scale. The exhibition features life-size enlargements of work the artist previously executed though the jewelry-making process, thereby becoming sculptural anomalies that enact the body and ornament at the same time. Kinetic sensibilities and movement is integral to the work. While some objects literally expand and collapse with the assistance of rotating motors, others simply anticipate action like a musical instrument without its sound. Every object she creates denotes the action of a verb similar to the way the body is not understood until it moves: an elbow, for instance, is a thing but its ‘elbowness’ is dependent on its ability to bend. Eichenberg’s years of experimentation with heat, gravity, malleability, and surface inform these character studies of materials and create portraits of both their potential and limits, while at the same time expanding our understanding of their relationship to the human form and temperament. 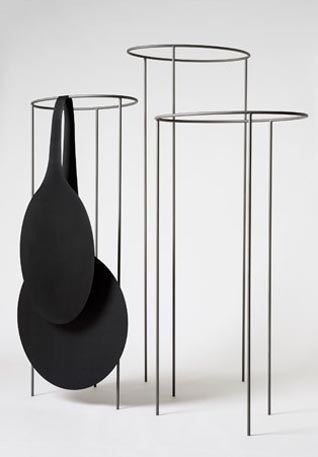 Iris Eichenberg graduated from the Gerrit Rietveld Academy in Amsterdam, where she later became head of the Jewelry Department. Since 2007, she has been the Artist-in-Residence and Head of the Metalsmithing Department at Cranbrook Academy of Art. Her work is represented in numerous national and international museum collections including the Stedelijk Museum in Amsterdam; the Schmuck Museum in Pforzheim, Germany; the Fondation National d’Art Contemporain in Paris; The Röhsska Museum in Gothenburg, Sweden; the Mint Museum in Charlotte, North Carolina; and the Rotasa Foundation in Mill Valley, California. 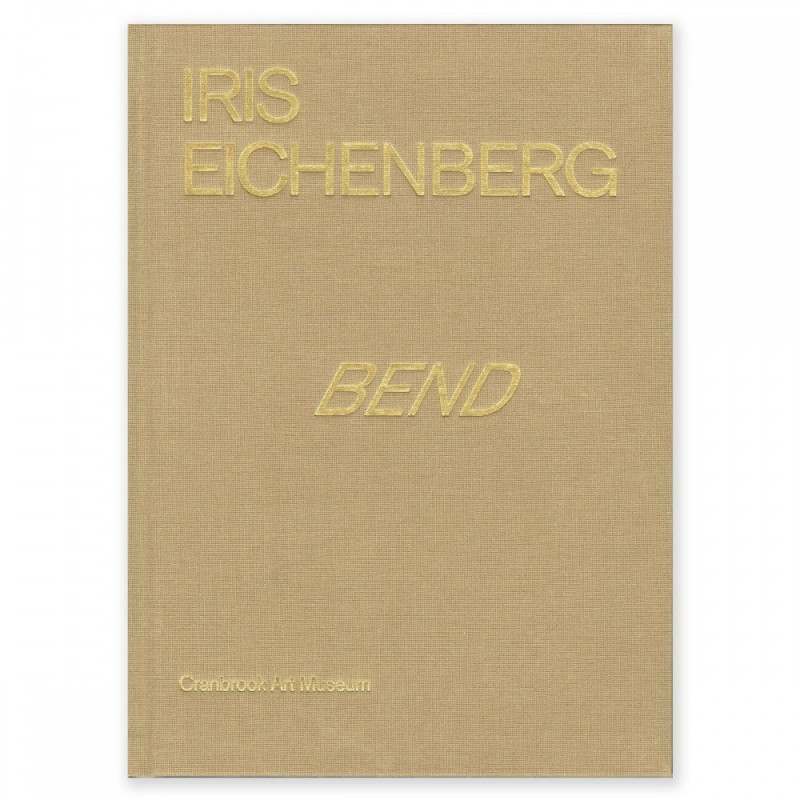 Iris Eichenberg: Bend was organized by Cranbrook Art Museum and curated by Laura Mott, Curator of Contemporary Art and Design. Cranbrook Art Museum is supported, in part, by its membership organization, ArtMembers@Cranbrook; the Museum Committee of Cranbrook Art Museum; and the Michigan Council for Arts and Cultural Affairs and the National Endowment for the Arts.